For a variety of reasons the hill tribes of Thailand often do not have the same opportunities as other Thai nationals, therefore making it difficult for them to alleviate themselves from poverty. 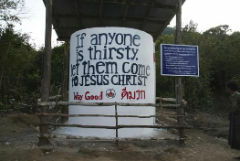 However, these villagers not only need their physical needs met but also their spiritual needs. The best way to do this is to work alongside the ITDP rural development staff and teachers with the goal that eventually churches will be planted in the villages where they are working. Hill tribe people in general do not have access to proper education, especially those without citizenship and living in remote areas. Approximately 80% are illiterate of the Thai language (Information from the Department of Public Welfare: 1993). Since many are still not aware of the value of education, it is difficult to convince hill tribes of all ages the importance of obtaining a proper education so that they will have better opportunities to have improved livelihoods. And, for those that do understand the importance of a good education, they are unable to send their children as a result of poor economic conditions, awareness, and lack of Thai language abilities. In addition, where there are schools, the Thai government does not provide enough programs that help children develop their learning abilities. School curriculums are not designed correctly according to children's needs and environment. They are not taught to think creatively and solve problems. Teachers do not perform proper teaching activities and are basically absent most of the time. There are no proper study/teaching materials and monitoring/evaluation approaches. Children aged up to 7 years old that attend government school are unable to communicate well in the Thai language and have trouble understanding what teachers are saying. Lack of communication is a big obstacle that keeps children from doing well in local government schools. 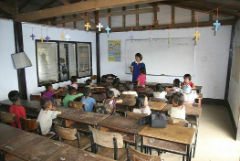 Many children leave school because they are placed in classes that are not suitable for their age and knowledge level. All this has played a part in hill tribe children developing wrong social values and inappropriate behaviours. They cannot develop as well as they should and adjust with changes in society, making it difficult to enter Thai society as equals. Tribal children are generally 1-3 years slower than children who live in towns in terms of their academic intelligence and skills. It is because their parents do not understand much about the development of their children's intelligence and skills. In addition, they do not know how to better improve their children's skills by using the natural resources around them. Parents raise their children depending on their beliefs, education and their economic status. Furthermore, malnutrition in children affects their physical, mental and brain development. At least 80% of primary aged children in ITDP's targeted areas have few opportunities to study in proper schools. ITDP is therefore wanting to set up schools and fund teachers to teach these children who would otherwise have no chance of receiving an education. In the evenings these teachers will also provide informal education for the parents of the children. Christian teachers will be strategically placed in these village schools to not only enable these children to obtain an education but also to share God's love with them. Since 1990 the Integrated Tribal Development Programme (ITDP) has assisted hill tribe people to cope with the many changes that have taken place in their livelihoods. This has predominantly been through small projects providing special assistance with drinking water, irrigation systems, farming and income generation, fish farming, establishing a coffee cooperative, and self-help groups. Bright Hope World's association with ITDP commenced in 2005 when we started buying coffee from them and importing it to New Zealand. Since then we have been in regular contact with Mike Mann and have visited Thailand a number of times. It is therefore exciting to now be able to partner with them in other aspects of their ministry. The direct beneficiaries are the teachers/key personnel who will receive financial support from this partnership but indirectly hundreds of children (and their parents) will benefit as they receive an education. 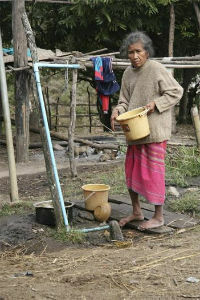 ITDP is making a real difference in the lives of many hill tribe people in Northern Thailand. They have been involved there for many years and are committed to helping these people holistically. By providing for their physical needs and helping lift them out of their lifestyle of poverty with the water and sanitation projects (THA06d) and the micro-loan programs (THA06a) , they have built good relationships with a number of villages and have established an excellent platform to now send teachers/church planters to these areas. 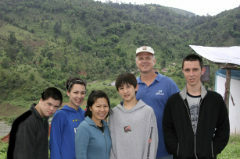 Mike and Becky Mann are the directors of ITDP and are our contact in Thailand. They have been providing support to the hill tribe villages in Northern Thailand and surrounding regions since 1990. Mike is from America and is a global consultant for rural development. In addition to being a director of ITDP, he also consults around the world. They have four children, Richard, Melanie, Ryan and Robert. The teachers will work in the same project villages as the rural development field staff, building relationships with villagers. In addition to teaching at the school, they will run seminars, help start Sunday schools and devotional groups/churches in the villages and provide Christian education materials for training and distribution. BHW is looking to provide US$6,990 annually for each teacher. The number of key personnel we support is restricted only by the availability of funds so the budget here is unlimited. 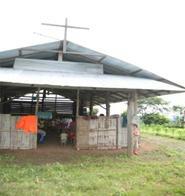 We are currently financially supporting one teacher in Ma Oh Jo School (see report).